The stagnant rate of the average revenue per user (ARPU) from active National Broadband Network (NBN) services is set to remain a source of uncertainty for the project’s ultimate long-term profitability. The company behind the rollout of the NBN, nbn, released its annual financial results on 15 August, revealing a 138 per cent year-on-year surge in total revenue for the financial year ending 30 June, to just over $1 billion – more than double the $421 million it collected in the same period last year. This increase appears to be largely driven by a substantial rise in uptake of the network as the rollout itself picks up pace. Premises activated, as of the end of June 2017, for example, came to 2.44 million, up from the previous year’s tally of 1.1 million, while premises ready for service at the end of the financial year came to 5.71 million, well in excess of the 2.9 million in FY16. However, the network’s ARPU flatlined at approximately $43 per user during the year. The drivers of ARPU consist of both active end-user activity – determined by consumption volume – and price, which is pegged to speed rate. The ARPU figure has long played an essential part in nbn’s modelling over the course of the network’s rollout, with nbn’s 2017 Corporate Plan referring to an increase in ARPU as one of just a handful of “critical sensitivities” that could affect the company’s long-term financial outlook and impact its peak funding range. 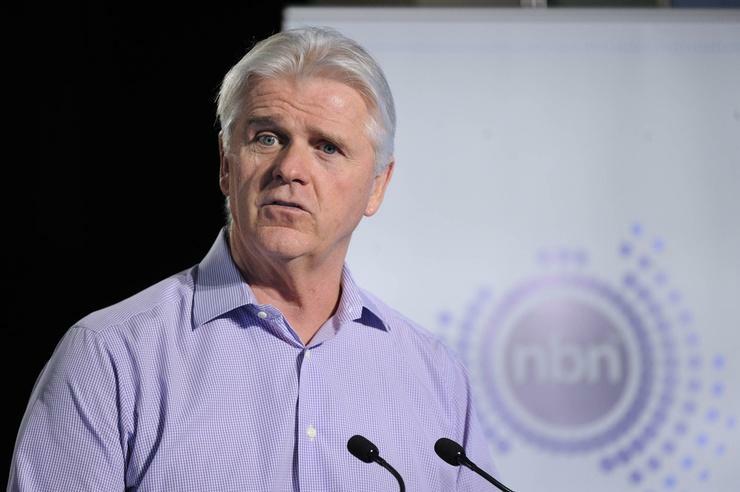 In February, nbn again flagged its ARPU rate as a risk factor to its revenue forecasts, with the company’s chief executive officer, Bill Morrow, suggesting that nbn would need a greater uptake of higher-speed products to reach the $5 billion annual revenue target it had set itself for 2020. It appears that one of the underlying factors keeping the ARPU rate static is the continued uptake by end users of the lower speed tiers in nbn’s wholesale product mix. The wholesale speed tier mix for fixed line services, for example, saw nbn’s base-level 25/5 speed option make up a larger portion of the overall mix, representing 53 per cent of total services in operation. The 12/1 product accounted for 29 per cent of services in FY17, compared to 32 per cent in the year prior. The two highest speed tiers for fixed line services, 100/40 and 50/20 together make up just 17 per cent of total services. In fact, the top tier, 100/40, saw a slight year-on-year drop, from 14 per cent in FY16 to 13 per cent for the year ending June 2017. For fixed wireless services, meanwhile, the 25/5 tier made up 78 per cent of the total. Sky Muster services included only the base two speed tiers, 12/1 and 25/5. With the government’s equity funding of the network set to be drawn down in September this year, and the $19.5 billion loan facility provided by the Commonwealth Government ready to kick in after that date, the return on investment in the NBN is on track to become a major focus for the company in the lead up to its proposed 2020 completion date.